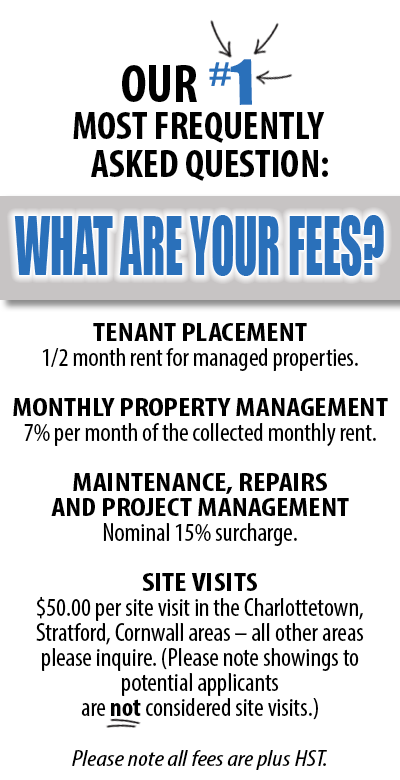 FOR RENT - Responsive Property Management Inc.
Below are the properties we currently have available for rent. Please click on the property photo for quick info, and click on the “View More” button to view our Kijiji ad for the property. We specialize in quality Single-Family and Executive Rentals in the Charlottetown, Stratford, Cornwall and immediately surrounding areas. Check back often as units change frequently! due to the large volume of inquiries we receive on our quality rental properties, we can’t reply to individual inquiries via text or phone (email only) – Thank you for your understanding. Applicants must first view the rental themselves in person (not a representative) PRIOR to submitting a Rental Application (we don’t rent sight unseen). A Rental Application must be completed and submitted for every adult applying to rent and live in one of our rental units.